There are more new users every day who start using VPN. People understand the importance of getting your private information secure. This system does not monitor your data and moreover, it provides you privacy secured connection to the internet. But users start having difficulties in installing VPN on Linux distributions. For some reasons Windows users are more important for the developers and Linux is still on the sidelines. Traditionally technologies such as NetworkManager, OpenConnect, OpenVPN are used for VPN connection in Linux. And the best way for you is to find a VPN provider who releases its own product for Linux. It is much easier to use, to set up and there are way more features than you may have by choosing another provider. What should you look at before choosing and buying VPN provider services? Number and location of the servers. The more servers are available, the easier it is to find the best and the fastest one among the others. The speed of your traffic and connection quality depends on this. A wide range of servers in many different countries is better. If the server you were connected to stops working because of different reasons, you can always switch to another server. A number of devices that are connected simultaneously. Many VPN providers allow you to have only two active connections. And this seems to be not a big deal, but actually, this may cause some serious inconveniences sometimes. After all, you just want to connect to the internet using VPN on all your devices at the same time, switch them whenever you want and need and do not worry about the connection at all. Authorization method. As mentioned previously, you can either choose one of those special programs that will help you use VPN or just find the provider who is able to offer you such a VPN connection, that does not require supplementary programs because it has been developed right for Linux. For what period of time the logs of your activity are stored. Each server always keeps a history of all your operations while surfing the internet. Generally, this information consists of web addresses of visited internet pages and the amount of transmitted information. If there is a controversial situation these data can be sent to law enforcement authorities of the country in which the VPN provider is registered. The storage time for logs may vary and may be up to several weeks. So it would be useful to know information like this about your provider. 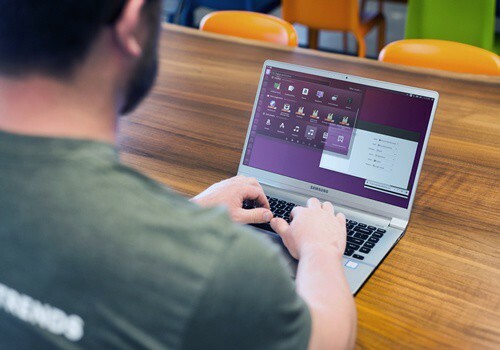 It may seem that it’s a little bit hard for Linux operating system users to find the VPN provider who is able to offer you VPN connection on the best level, but you are being mistaken. Yes, of course, you have to read a lot of information before you pay money to the provider, and then you most likely will spend your time on finding the way to connect to the internet using recently installed VPN but the results absolutely worth it. So put your doubts aside and start searching the best VPN provider for your location.